In line with the "Game Changer" teaser that Cherry Mobile has posted on its Facebook page last week, the local fruit company now releases the successor to the most successful local smartphone to date, the CM Flare. 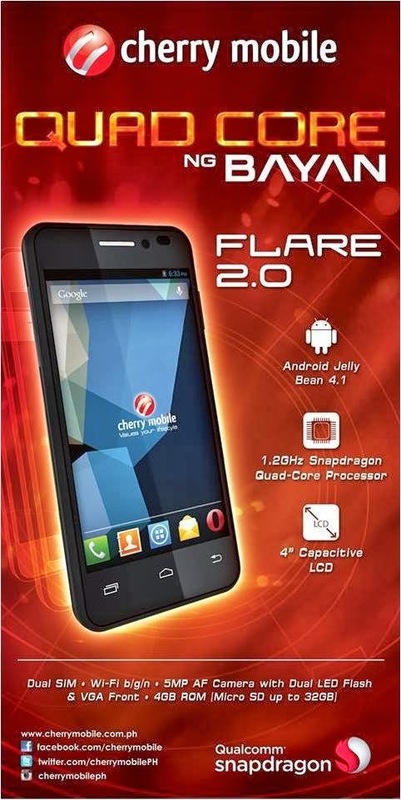 This new device, Flare 2.0, is dubbed to be the "quad-core ng bayan" and is gunned for more market share locally. The still 4-incher device rocks the same specs of the previous bestseller - 512 MB of RAM, 5-megapixel camera and WVGA capacitive screen. However, CM bumped the processor to four cores running in 1.2GHz frequency. Aside from that, the Flare 2.0 carries Android 4.1 Jelly Bean right off the bat. The 1600 mAh battery in the device is still a point to be tested. With it being a quad-core and dual-SIM device, I wouldn't expect it to last longer. However, with the current price standpoint, I could say that Cherry would stike another lightning with this newer Flare version. 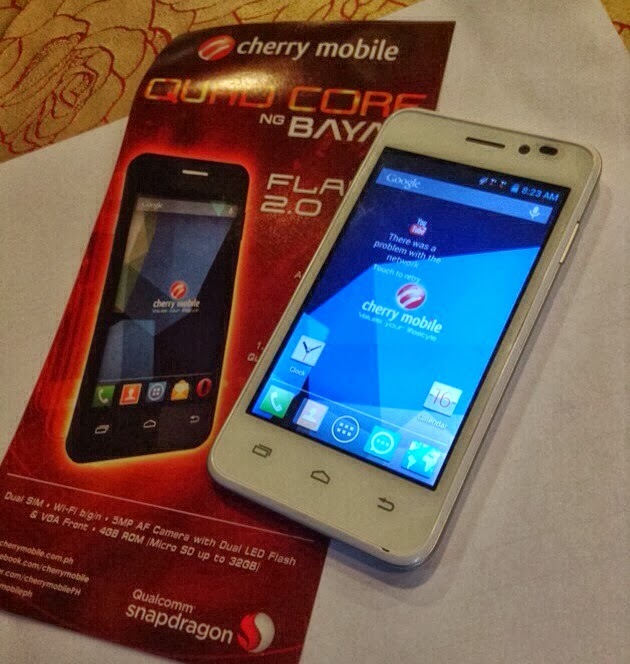 Update: Cherry Mobile Flare 2.0 will be available starting tomorrow in SM North Edsa at 1PM.